Continuing our GWERK Profiles feature on the amazing contributors, influencers and people that make up Vancouver, today we introduce Graham Handford, in-house Graphic Designer at Musson Cattell Mackey Partnership Architects Designers Planners (MCM) and architectural photography aficionado. 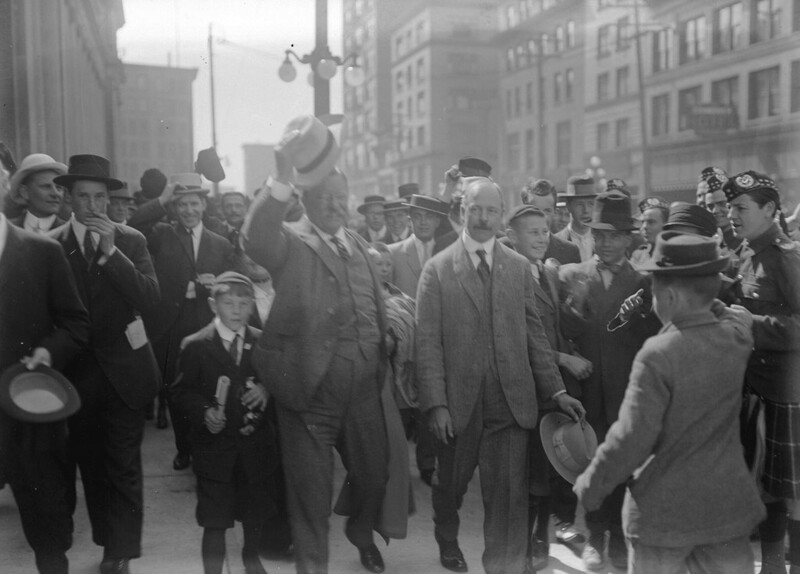 My roots run deep in Vancouver – my great-great-grandfather Barney Handford arrived in Vancouver in the late 1890s. Two of my grandparents, as well as my parents, were born here. I, too, grew up in Vancouver, and have lived in Oakville, Ontario, Washington, DC, Sydney, Australia, and Halifax, Nova Scotia, where I received a Bachelor of Design from the Nova Scotia College of Art + Design (NSCAD). Since graduating in 2010, I have been the in-house Graphic Designer at Musson Cattell Mackey Partnership Architects Designers Planners (MCM). It’s an honour to work at a firm that has helped shape downtown through projects, such as Canada Place, the Vancouver Convention Centre West, the Trump Tower, and the MNP Tower. In my spare time, I curate an Instagram account under the alias @GeorgeVancouver that is devoted to sharing Vancouver Archives I have researched (#VanArchives) as well as architectural photography I have taken (#VanArch). I believe it was a mixture of looking through my father’s photos from the 1960s + 70s as well as my grandparents’ photo albums from the 1920s-40s that has sparked my passion for researching the Archives. Working in architecture, an integral part of future development is to know where we came from. With this research, we can carry on nuances from the past, building our culture, and adapt to the needs of today’s society. What does ‘gesamtkunstwerk’ mean to you? I was first introduced to the term in my first year Art History course at NSCAD, but truly did not understand the term until my internship with Canadian Type Design Laureate Rod McDonald, where he opened my mind to the world of Type Design. The process of massaging glyphs to the point that they ‘sing’, as Rod would say, is true “gesamtkunstwerk”. The concept of holistic design can be translated into all design milieu. You’re a regular salon series attendee — as a citizen of this city, why are these open city-building and design dialogues so important? The process is important for public familiarity, input, and dialogue in order to ensure success of a major new development such as Vancouver House; to make sure that the project suits not only today’s needs, but those projected for the future. A successful process is one that is transparent with the public and responds to public input. A great example of this was the redevelopment of the industrial zone at Granville Island into a social, cultural, market, and tourist magnet. Today, it stands as a model of urban redevelopment that has inspired other cities around North America. As someone who has a love for vintage/heritage Vancouver photographs and shares them online to a large audience, what are some of your favourites? Every Archive is worth far more than 1,000 words – stories of time gone by. 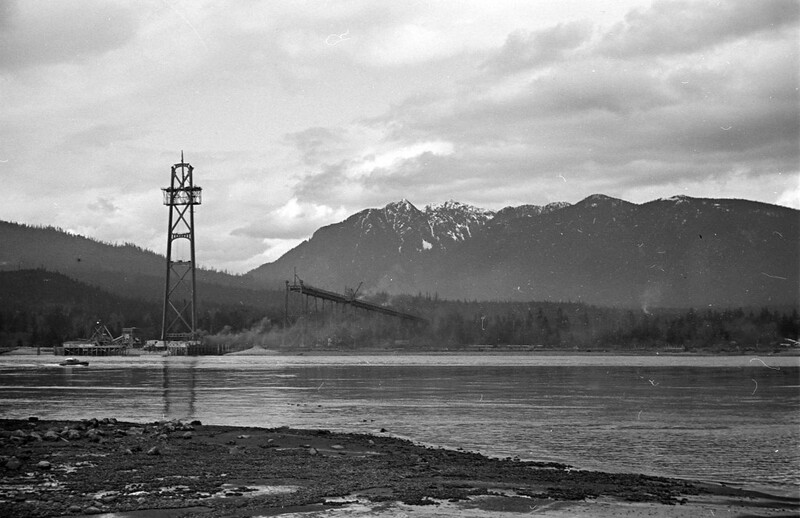 To date, one of the most popular Archives I’ve posted on Instagram has been a construction photograph of the First Narrows Bridge (Lions’ Gate). 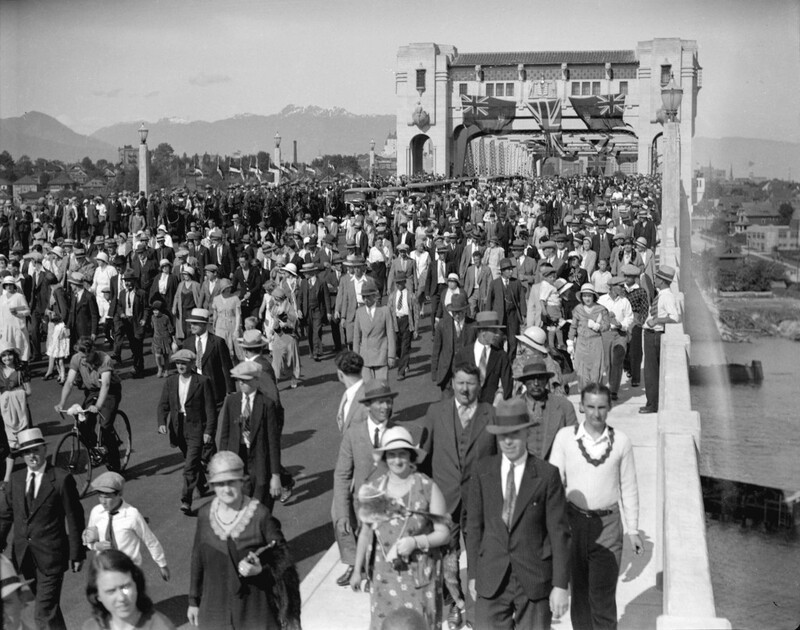 One of my personal favourites is an image of the opening of the Burrard Bridge, which happened on Dominion Day (Canada Day) in 1932. It seemed the entire City was there, in their hats of course, to walk across – the sense of community. One of the most photographed persons in the Archives is multiple-term Mayor Louis Denison Taylor. He was a true man about town and left us with many legacies, including building the iconic Sun Tower, the amalgamation of Point Grey and South Vancouver with Vancouver, as well as opening the airport at Sea Island to name a few. From both design and civic standpoints, what does the future of Vancouver look like to you? The City of Vancouver’s initiative to become the Greenest City by 2020 inspires me, By Sea + Land We Sustain. Vancouver is already one of the most livable cities in the world. Political stability, access to clean water, clean air, public transportation, and green energy supply all allow for densification with appropriate design. Access to our beaches, our mountains, our parks, and our ocean provide the opportunity for a healthy lifestyle and interaction with nature – in spite of an increasingly dense urban setting. My passion for both the Archives as well as the future designs of the City is inspired by the successful and iconic buildings of the past, including City Hall, the Vancouver Block, the Marine Building, the Dominion Building, and the Sun Tower, as well as younger buildings like Canada Place, the Living Shangri-La, and the proposed Vancouver House – needless to say. I believe successful design leads to civic success and pride and acts as a magnet for tourists and business activity. The thought of personally having my designs and ideas contributing to the future of Vancouver, as well as sharing my passion for the city’s built environment through social media, gets me out of bed every morning. To read last week’s GWERK Profile on Geoffrey Erickson, click here!